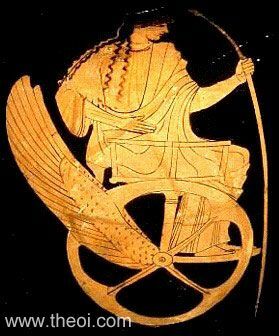 Side A: Triptolemus, seated in a winged chariot, departs on his quest to teach mankind agriculture. The hero holds a sceptre in his hand. Side B: Demeter, Persephone or Hecate (see other image).